What do you get when you cross Star Trek jargon, a decent knowledge of Photoshop, and Florida? 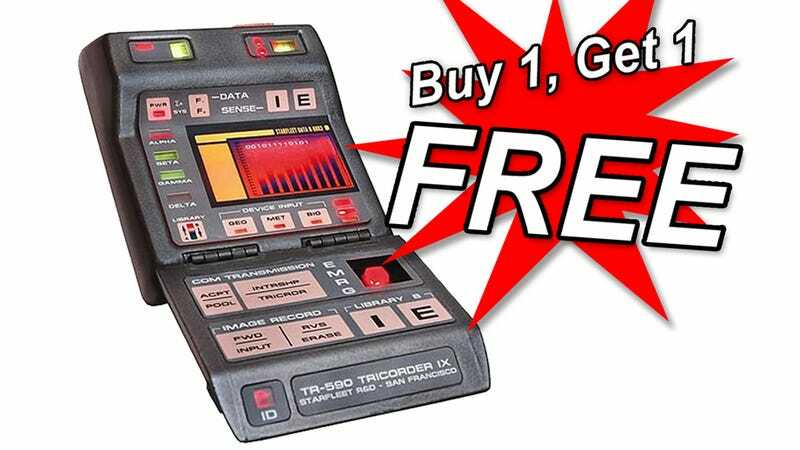 Well, judging by Howard Leventhal's attempt to secure around $3 million in funding for a fake tricorder, the answer is one impressively delusional case of fraud. Last year, Laventhal decided to tell executives at Fort Lauderdale, Florida's Paragon Financial Group, Inc. that Health Canada was backing Laventhal's very own McCoy Home Health Tablet that—you guessed it—takes its name from Star Trek's Leonard H. McCoy himself. But that's not all the two shared in common; just like Leonard, the tablet was also 100% not a real thing. But that didn't stop Leventhal from accepting the $800,000 in funding before taking his personal science fiction saga a few steps further. Next, Leventhal forged phony contracts between his (also fake) company Neovision USA and the Canadian government; this included forging Deputy Health Minister Glenda Yeates' signature. But apparently the fake Candian government is awfully generous with their imaginary money—the contract purported to offer Leventhal $8.2 million in funding. Heltheo’s McCoy Home Health Tablet, named after the fictional Dr. Leonard McCoy of TV’s Star Trek series, is designed as a platform to maximize the patient benefits through broadband-augmented in-home telemedicine. Maximize! Benefits! Broadband! Yet despite all these delightfully meaningless buzzwords, Leventhal never got the additional $2.5 million he was asking for, which probably had something to do with the fact that he gave his fake contracts to an undercover agent posing as a Paragon employee.